Three Alliance superstars have been at the National Youth Brass Band of Great Britain for the Easter course! Richard Marshall, Owen Farr and Les Neish have all been coaching the NYBBGB at their course at Taunton School. 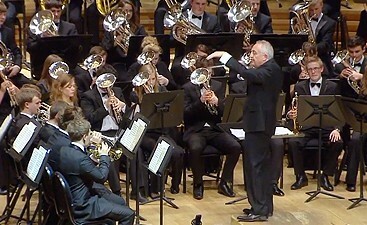 The band performed at Cheltenham Town Hall (April 6th) and Wells Cathedral on (April 7th) under their internationally-renowned conductor, Bramwell Tovey. In addition to coaching the band’s cornet section, Richard Marshall was also performing as a soloist with the band in Martin Ellerby’s Cornet Concerto and Herbert L. Clarke’s The Debutante.